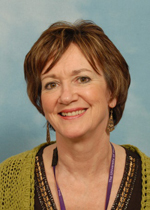 Yvonne Alexander has recently taken up a position as Professor of Translational Science in the Healthcare Science Research Institute at Manchester Metropolitan University. She retains an honorary position at The University of Manchester in association with the Manchester Academic Health Science Centre, engaging with clinical collaborators. Professor Alexander's research has focused on understanding molecular mechanisms of vascular disease, in particular, on injury and repair pathways in the vessel wall. Her research programme includes 1) Cellular reprogramming in vascular calcification, within the context of diabetes and renal disease; 2) Endothelial progenitor cell differentiation and impaired vascular function with age; 3) Endothelial dysfunction and repair in Lupus and rheumatoid arthritis patients and 4) Identifying biomarkers in carotid disease with a focus on endothelial dysfunction and atherosclerosis. She is the past Chair of The British Society for Cardiovascular Research and a current Council member of The European Vascular Biology Organisation. Prof Alexander acts on review panels, holds a number of research grants, and has published widely in high impact scientific journals. Yvonne has also given numerous prestigious national and international lectures, communicating enthusiasm for cardiovascular biology. She has directed International research, which has led to 14 prize-winning contributions for herself and her group at International and National meetings. She has several years experience in postgraduate and undergraduate research supervision and examination and is also active in Public Engagement events, encouraging students to embrace new approaches in basic science and medicine.